It's all about liquid lipsticks at the moment. 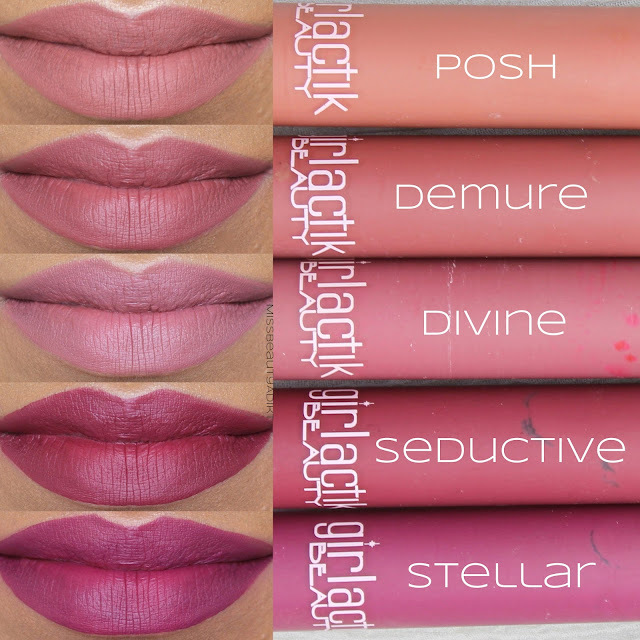 I have been using the Girlactik Matte Lip Paints for the last few months, and they have to be some of the best liquid lipsticks out there. That's a pretty big statement right?! There's five liquid lipsticks in my collection, and I'm trying to restrain myself from buying the other shades. Yes, that is how much I love these. I am extremely fussy when it comes to liquid lipsticks, as I hate that overly dry feeling on the lips. 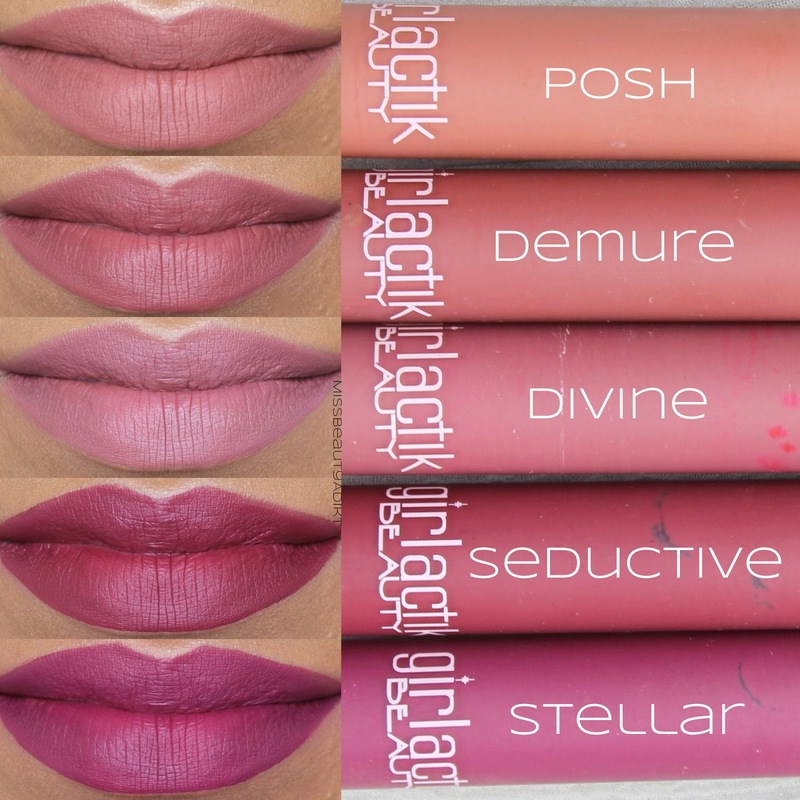 The formula of these lipsticks are slightly different to the rest of those on the market. 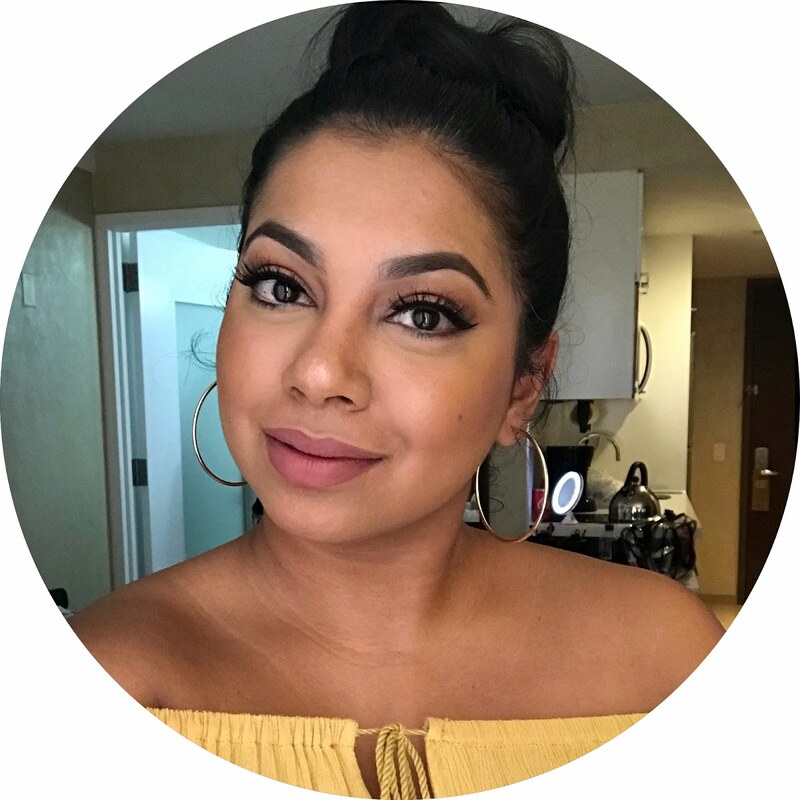 It has a thicker and softer consistency, and isn't very fluid unlike the ColourPop Ultra Matte Liquid Lipsticks or the Lime Crime Velvetines. The thick texture makes it easy to apply, allowing you time to work with it, and also making it comfortable to wear. These lipsticks do last pretty much all day on the lips, but I have found when eating greasy food then reapplication is needed. Luckily there is no crumbling or flaking when reapplying. The colours translate beautifully on the lips, and stay true to colour. Some liquid lipsticks tend to get a bit darker as they dry, but luckily these don't. I can't rave about these liquid lipsticks enough. I wish they had more shades on offer, so I could just hoard them all. LOL! If you're in the UK, you can purchase these from Glam Saidey, Cocktail Cosmetics and from Walgreens, Girlactik Online for those in the USA.